Ever had the urge to be a fighter pilot? 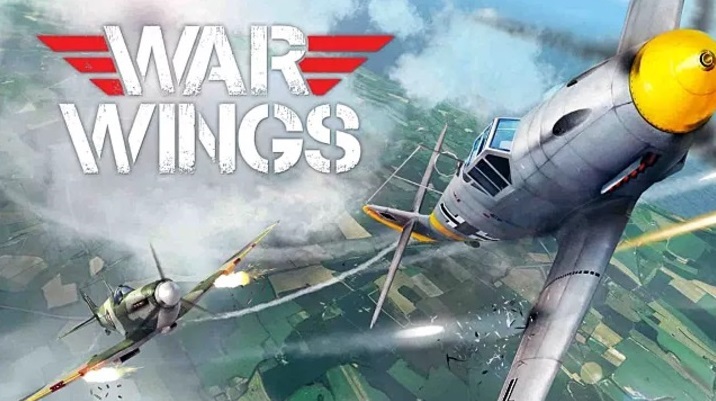 Well, War Wings from Miniclip gives you the chance to fly the unfriendly skies of World War II. No need for a plot’s license here though, as this is an arcade style game that’s easy to play and promises a lot of fun. This is also an online game that requires an Internet connection. War Wings is 4v4 aerial dog fighting. A ticket mechanism is used to track your team’s progress, so if one of your teammates goes down, a ticket is lost. Lose all tickets and it’s game over. The game control is just as easy to figure out. You use a virtual joystick to fly your plane, with buttons for changing weapons, shooting and power boosting. Just tap the appropriate button and the game responds nicely. Each dogfight takes only a few minutes to complete. The game tells you if an opponent is within range, and there’s a box that assists when aiming at enemy planes. Of course the enemy aircraft isn’t just gong to stand still, so you need to pursue and take them down. Your enemies will also be firing back so you have to keep moving and try not to get hit. Your success depends a lot on how well you work with your teammates, and that is part of what makes War Wings a lot of fun. As the game progresses, you get access to a wide range of upgrade options that keep the experience fresh and enjoyable.